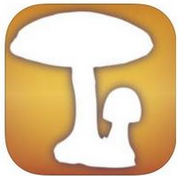 The home screen "Explore mushrooms" is the Audubon doorway to identifying fungi via their shape,scientific family, common or scientific names or via advanced search. In Browse by shape the diagrams are just large enough to discern identifying features. However, unless you already know what a bolete, a chanterelle, a polypore or a morel is you, will find them hard to interpret. Additionally, only part of the headings are visible, which compromises understanding of the common language descriptions. 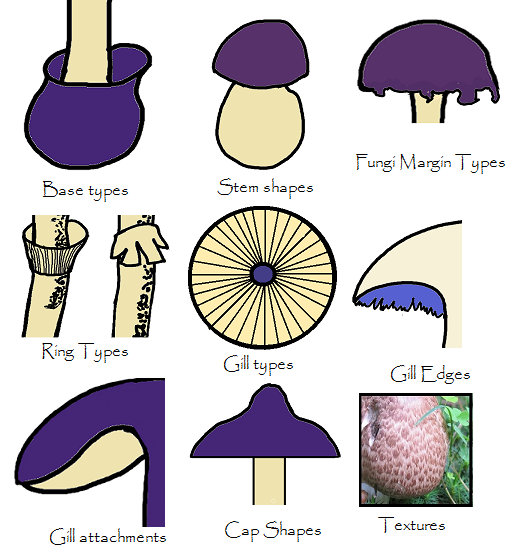 The menu diagrams work well for fungi with clearly different shapes like corals, puff balls and cups but is rather confusing when it comes distinguishing species according to their gill to stem attachments or veil types. Unexpected & Confusing Species placements. Some searches yeild unexpected or inadequate results. For example, a search for mushrooms with free gills produces three pluteus fungi species but none of the Agaricus mushrooms that most people associate with free gills. 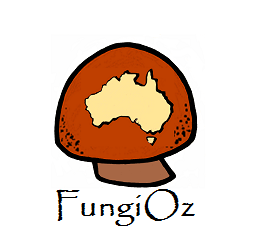 To find Agaricus species you have look under one of the two Veiled Mushrooms categories and then you will find Agaricus mushroom species in categories for Amanitas, Lepiotas, and Limacellas. This is very confusing. 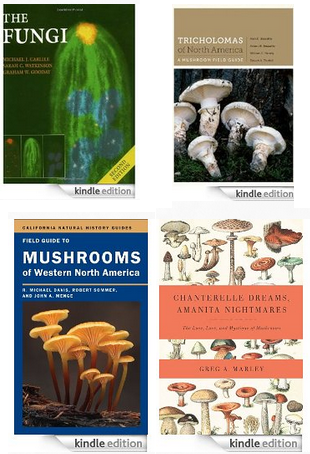 Other curious species placements include the toothed fungi, which are not represented on the main menu but can eventually be found under the polyporus and other shelf mushrooms and boletes menus. However, I have still to discover where the Hedgehog Hydnum species are found. ﻿Browse By Order/FamilyBrowse By Order/FamilyBrowse by family requires advanced knowledge of scientific terms and mycological taxonomy, with only a few diagrams obvious enough to interpret alone due to their very small size. For instance, if you don't already know what a Corticiale, a Eumycetozoa or a Helotiale is, the diagrams won't help. Selecting a category opens a huge scrollable list of species with small icons and both common and scientific names. For instance the list for Agaricales has 289 items and it takes a while to realise that the cog at the top right allows search within those species. Pressing the cog doesn't lead to search within the chosen category, agaricales in this instance. Rather it takes you back to a list of all the app shape categories minus their visual icons. And agaricales is not on the list. 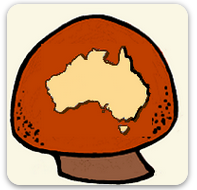 Having again selected a category, you can search for colour and the American region in which the mushroom is found. Choosing attached gills and searching for yellow produces 21 Agaricales of which 13 were yellow in some way. As shown in the above screen shot, most thumbnails are close enough to aid visual id and pressing an icon bar produces a photo that is about a third of the screen. In some cases the photo includes the underside of the mushroom but often the result shows only one view, like the one above. There is no capacity for further enlargement, which is often quite frustrating. And there is usually only one photo per fungi species. This means you must rely on the description to make a positive id. 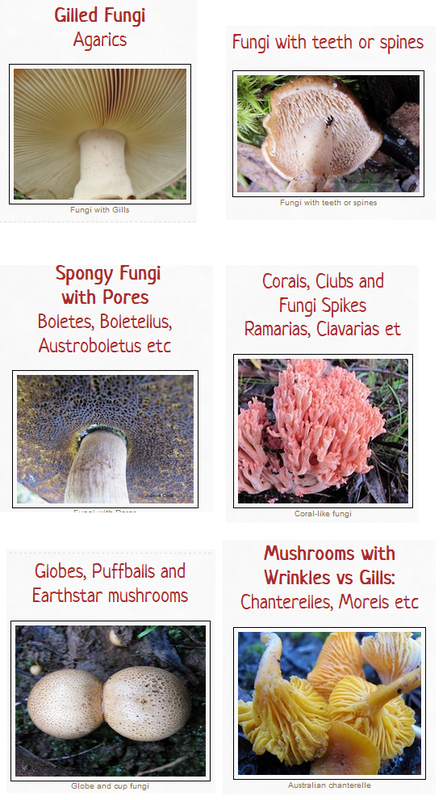 Pressing description from the four options at the top of the screen produces a tiny thumbnail and a description that is hard to read due to the inability to enlarge it and the lack of formatting. .
Advanced Search is by far the most useful option for identifying a fungi find. 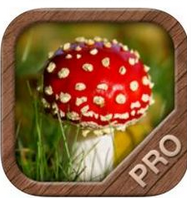 You can search via one or more of: common or scientific name, colour, what the mushroom was growing on, its texture, cap shape, stem shape, month of year and so on. Pressing the plus sign at the bottom of the screen allows you to post photos and a description of the species you have been looking at. Your can also add a sighting from the main start menu. 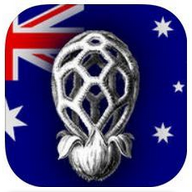 ln this case you scroll through the species to select the fungi you want to report a sighting of. The app automatically adds the date and maps the precise location, which can also be named from a drop-down list. You can then share this via Facebook, Twitter or email . Pressing the sightings icon produces a world map with pins for yours and other users sightings of the species. The function then operates like social media so you can access and choose to follow others' sightings. Despite the elegance of this feature, accessing various sightings maps show it to be largely ignored by app users. No more data usage charges for the catalogs. Appstore reviews complain of instability and incapatability on newer phones.